Providing the Detroit Metro area with professional, fast and eco-friendly junk removal services. Moving into a new living space can be very exciting. It’s an opportunity to decorate and organize. In many ways, it’s like having a clean slate. 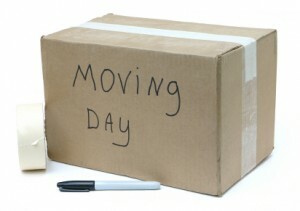 The challenge is to make sure that you are ready for that big move. That begins with ensuring that you don’t bring any old junk with you. This is where hiring Junk King Detroit comes into play. As you go through your house packing up all the stuff you are going to take with you, you will no doubt find a lot of things that you no longer need or are being replaced. This can be anything from a bedroom set to a television. Often, when people feel rushed during the move the inclination is to just pack everything up and sorted on the other side. However, that can increase the cost of your move and also cause problems on the truck. If you’re loading of a sofa you know you want to get rid of, then they may not be room for the stuff you want to keep. All of this means that you should get rid of your unwanted stuff before your movers show up. Junk King Detroit can make that happen very quickly. Just because you getting rid of some big things that is mean you have to move them. The team from Junk King Detroit will happily climb any amount of stairs to get to the stuff you want to have hauled away. All you need to do is tell them what is going. You could even slap a posted on all the things you want taken away! Before they begin the work, Junk King is going to provide you with the estimate of the cost. This will be a fee that is based upon how much room your stuff is going fill in the back of the truck. A lot of experience packing tightly. They do that they can make several pickups that the day. They also do that’s you could benefit from the low end of the price scale. Everything that’s collected by Junk King Detroit has a chance to be donated to a charity. It doesn’t matter what condition something might begin. That’s because many charities hire folks to refurbish things like furniture and appliances. You don’t have to make the final determination that something that Junk King will take care of automatically. Before your next big move happens, hire Junk King Detroit to get rid of all your unwanted stuff. This entry was posted in Detroit Junk Removal and tagged junk king, junk removal, moving on October 22, 2017 by Junk King. Last updated October 22, 2017 .